Job hunting techniques of two years ago are now largely obsolete. SC and DV Cleared Professionals are encouraged to visit the award-winning Recruitment Company at Stand N4-187 to receive up to date Security and Defence Career Advice, which reflects the current skill and experience requirements within the Security and Defence Sectors. “There is an incredible amount of opportunity available for SC and DV Cleared Professionals, especially those with an IT background, which is the area of careers that is our primary focus. 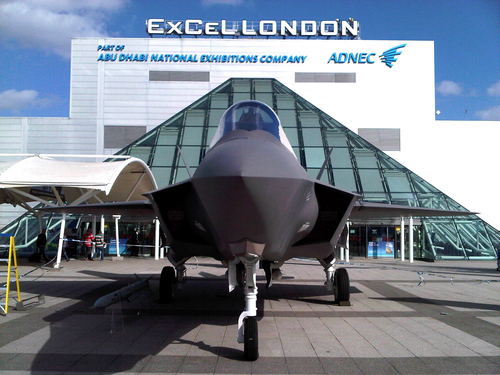 However, due to the nature of this industry, people will be largely unaware of many of these job opportunities, which is a key reason we have made ourselves available at DSEi,” Fanthom explained. The Career Advancement Podcast for SC and DV Professionals, is just one of several exclusive career and job-hunting resources that are available to visitors of the DSEi Show. In addition to gaining access to these resources, SC and DV Professionals will also be able to receive a one-on-one career clinic with a member of Jenrick IT’s experienced career advancement team. If you wish to pre-book an appointment with one of the Jenrick IT (www.jenrickit.co.uk/sc) team, please email dsei@jenrick.co.uk, or call the office on (01932) 245 500. This press release was distributed by ResponseSource Press Release Wire on behalf of Jenrick IT in the following categories: Business & Finance, Computing & Telecoms, for more information visit https://pressreleasewire.responsesource.com/about.